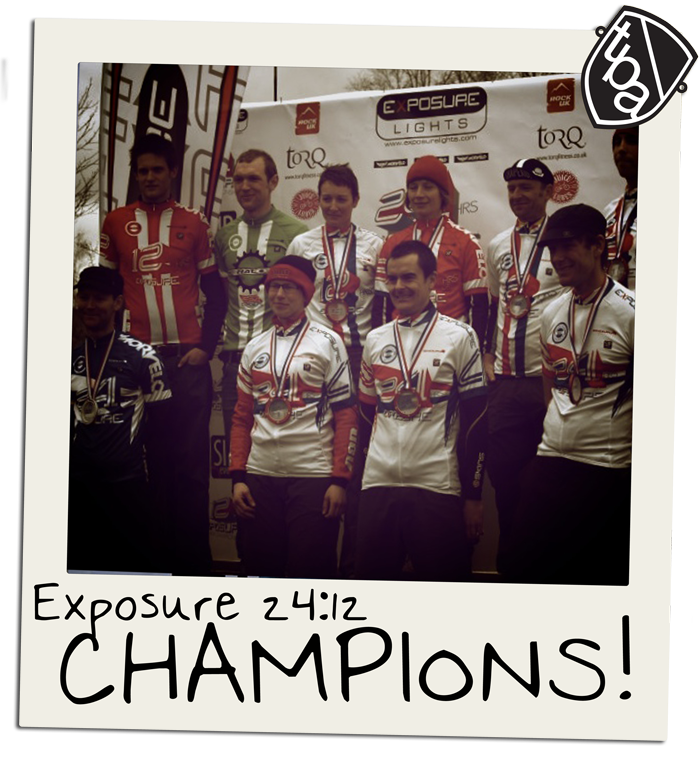 24 & 12 Hours of Exposure is the European & UK 24 & 12 Hour Solo MTB Championship race, it’s held once a year in Newcastleton on the Scottish boarders. For anyone who competes in endurance MTB events the race is one of the most important of the year. 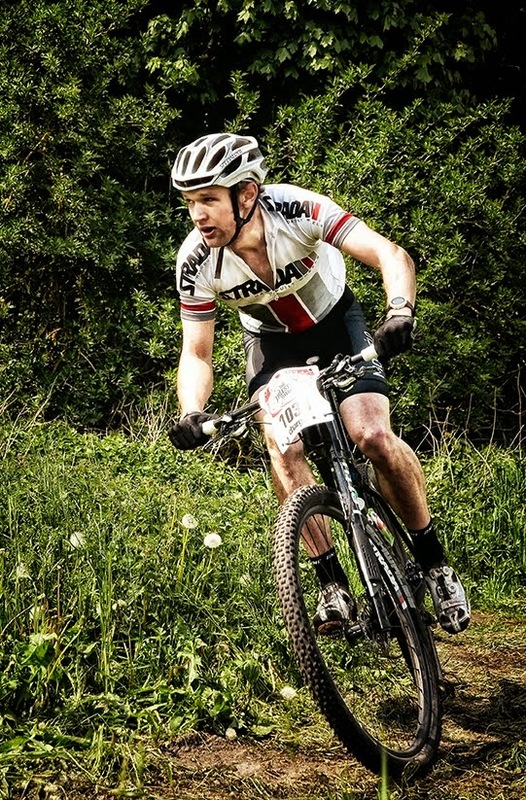 I was racing in the 12hr open male category on a single speed, against geared and single speed riders alike. The race was the culmination of 5 months of training, under the watchful eye and guidance of Rob Lee. I was feeling good but it’s always hard to gauge the rest of the field, especially so early on in the season. Gathering in Newcastleton town Saturday morning everybody was in good spirits and relieved the night rain had passed, leaving a dry, if a little nippy, April morning. I’d opted to race in my usual Morvelo race kit and Gore gillet, knee & leg warmers, as an easy option to control my temperature. Before I knew it we were being led out of the town behind some towns people to the sounds of a piper marching in front. The first lap was at a comfortable pace. I clocked the single speeder I thought would cause me most trouble and endeavoured to put a gap between us during the traffic. As the laps rolled on I was conscious to pace myself. Each lap was 11miles with 430meters of climbing, so fuelling the engine was an important task, I tried my best to eat one gel and one bite-size Mulebar per lap. After six hours of riding I was half an hour up on the next single speeder and seventh overall, I decided to swap from my lightweight, but high-geared Niner 29er to my trusty Singular Swift with a lower gear, this immediately gave my legs a rest and the next lap felt good. As dusk began my Exposure Sixpack and Diablo came out, I love night riding and find it doesn’t slow me down, although I was beginning to tire, I was up to 4th overall, which I couldn’t believe! In fact it was a massive surprise. Unfortunately my next two laps were slower as the temperature dropped, rolling back in at 10.30pm I added more clothes and quickly headed back out knowing I was on my last lap. Luckily my last lap felt great and I actually sped up. I finished in 6th overall in Open 12hour male, 1st single speed by over one lap. I’m so happy I’d manage to win the single speed jersey, and happy with 6th overall. Got to say a big THANKS to my Dad for his great pit work, and having raced at many venues I can say that Rock UK was one of, if not the best venues I’ve been to, with a great atmosphere and faultless organisation by SIP events.